Prince’s is one of the oldest Open Championship venues in the UK, with the great American golfer Gene Sarazen lifting the Claret Jug here in 1932, leading after every round to finish with a record low score of 283. The course is currently used for the Final Qualifying Series for The Open which will be held at neighbouring Royal St. George’s in 2020. 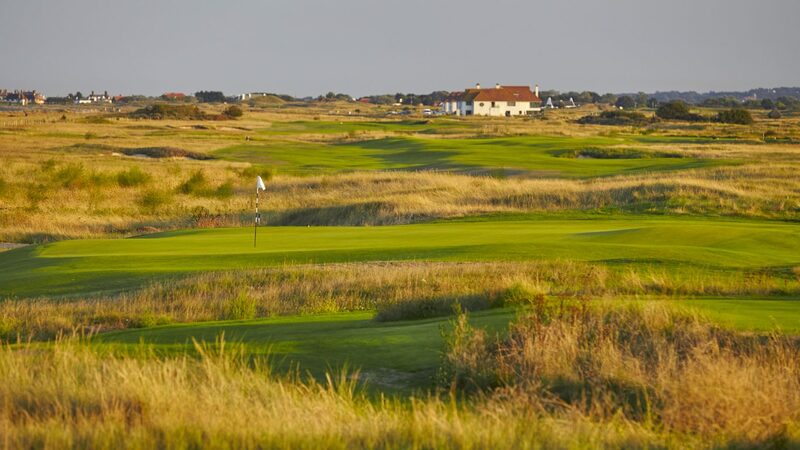 Prince’s offers 27 holes of prime championship links golf, with its recently-renovated Shore, Dunes and Himalayas nines delivering a full day’s links experience for societies and corporate groups. The three loops of nine holes are equally challenging and interesting to play, all combinations playing at just over 6700 yards. Built on classic springy links turf, Prince’s free-draining fairways and raised greens ensure perfect championship playing conditions all year round, making it ideal for a winter golfing break, as well as superb summer venue when the fast-running fairways are a joy to play. As well as top-class practice facilities, including a brand new short game area and practice putting green. Prince’s spacious clubhouse has a superb exhibition of its historic Open connections, with an interesting display of photographs and memorabilia. Societies and groups can also avail themselves of The Lodge, which offers 38 bedrooms between individual rooms and twobedroom apartments, and also boasts a snooker room, lounge, bar and terrace, as well as a 2 AA Rosette restaurant, where locally sourced produce is to be found on a wide-ranging, seasonal menu. system available for all groups at an additional charge. the out skirts of the town. & Restaurant, Putting Green & Terrace. trollies, electric trollies & buggies.